Please fill out the form on the right or call us toll free (888) 229-0082. Enjoy a week-long European extravaganza combining this 5-star luxury vessel and top golf courses. 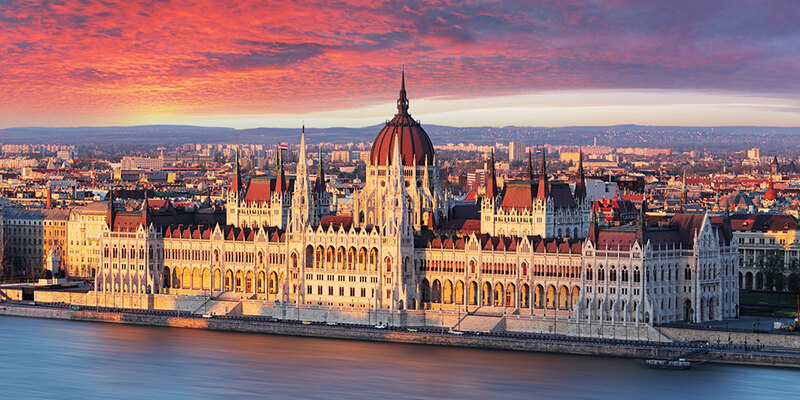 Board the Avalon Panorama for a journey along the Danube River, the longest river in Europe. Stops in Germany, Austria, and Hungary. Golfers will experience top-rated golf courses and everyone will enjoy the cultural tours of iconic European cities with expert local guides. Whether you are touring Europe’s grand capitals with experienced local guides, attending a private concert in a historic palace, shopping, or exploring on your own, you will savor each day of this unique journey. Note: Hosted by Corinne Goodman and Douglas Herbert. Whether you’re seeing the sights, shopping for handcrafted embroidery or Herend porcelain, or basking in the coffee house culture over a rich cream cake in the renowned Gerbeaud Café, Budapest’s unique energy is positively palatable. On your GUIDED SIGHTSEEING TOUR, see Heroes’ Square as well as the massive hilltop castle complex with its remarkable Fishermen’s Bastion and 11th-century Matthias Church, the coronation spot of several Hungarian monarchs. Be sure to take note of the city’s eight bridges—many famous sights in and of themselves—which connect ancient Buda on the right bank with Pest on the left. You may even want to walk across Chain Bridge, built in 1849 and a symbol of Budapest. The golfers in your party will have the chance to play the renowned Old Lake Golf Club today. 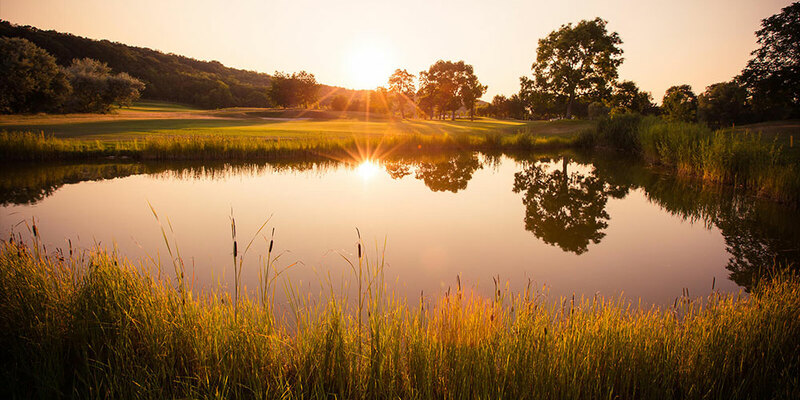 Old Lake is laid out in the style of an old country estate, winding its way through a sweeping valley landscape that is blessed with defined elevation changes where the often-present wind can dent the scorecard. This classic course makes for an excellent first taste of the golf courses along the Danube. 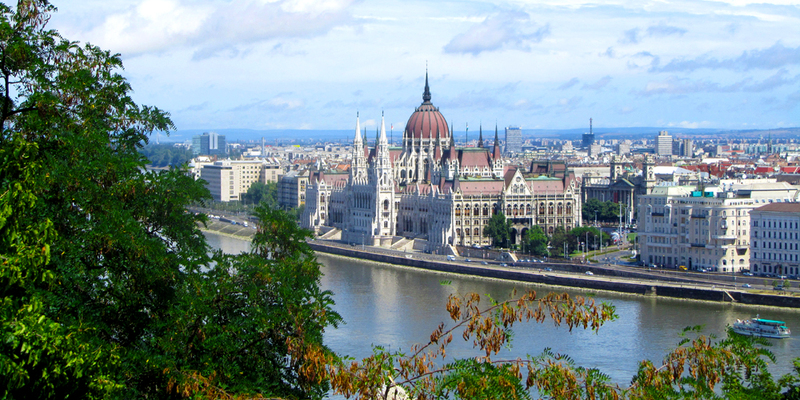 Spanning the banks of the Danube, Budapest is one of Eastern Europe’s liveliest cities. Whether you’re seeing the sights, shopping for handcrafted embroidery or Herend porcelain, or basking in the coffee house culture over a rich cream cake in the renowned Gerbeaud Café, Budapest’s unique energy is positively palatable. On your guided sightseeing tour, see Heroes’ Square, as well as the massive hilltop castle complex with its remarkable Fishermen’s Bastion and 11th-century Matthias Church. Walk across Chain Bridge, which was built in 1849 and remains a symbol of Budapest. Perhaps visit St. Stephen’s Basilica; shop at the Great Market Hall and purchase paprika at one of its 180 vendor stalls; wander around the Royal Palace grounds; or stroll along Váci utca, the main shopping street. This afternoon, board your river cruise vessel and meet your crew at a welcome reception. 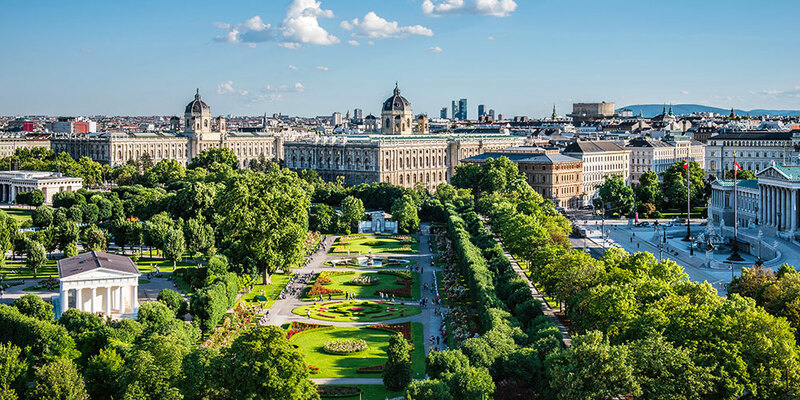 Once the center of the mighty Habsburg Empire, Austria’s magical capital city of Vienna on the blue Danube is a showcase of gilded architecture. This is home to the lavish Hofburg Imperial Palace complex with its Vienna Boys’ Choir and dazzling Lipizzaner stallions; the neo-renaissance Vienna Opera House; and awe-inspiring St. Stephen’s Cathedral—plus, countless other sights your local guide will show you during an included city sightseeing tour. Stroll through the delightful pedestrian Kärntnerstrasse, and be sure to take a break and enjoy a piece of decadent Sachertorte or Apfelstrudel in one of the classic Viennese coffee houses, historic institutions that helped shape Viennese culture! Today golf enthusiasts will have the chance to enjoy a round at Colony Golf Club Gutenhof. The golf club is separated into East and West courses, both of which offer a fun and challenging game. The West course is ranked as the No. 5 golf course in Austria, while the East course is ranked No. 14. 36 spaciously placed holes covering a 130-hectare area guarantee a golf experience of a different dimension. Here, the architect duo Rossknecht/Erhardt designed the course around a centrally imposing, colonial-style club house. Separated by sumptuous vegetation and optically beautiful ponds, the holes are kept in line in flowing harmony. Broad fairways, sufficient landing zones, and perfectly placed obstacles turn the parkland course into a new experience with every round. Dürnstein, known for the magnificent baroque, blue Stiftskirche built in the 1700s, is right in the heart of the Wachau wine region. The main street of this small town—with a population of less than 1,000 people—is lined with 16th-century homes and charming cobblestone streets. This morning your Local Guide will take you on an included walking tour and tell you the tale of England’s King Richard the Lionheart, who was imprisoned in the castle whose ruins still stand above the town. 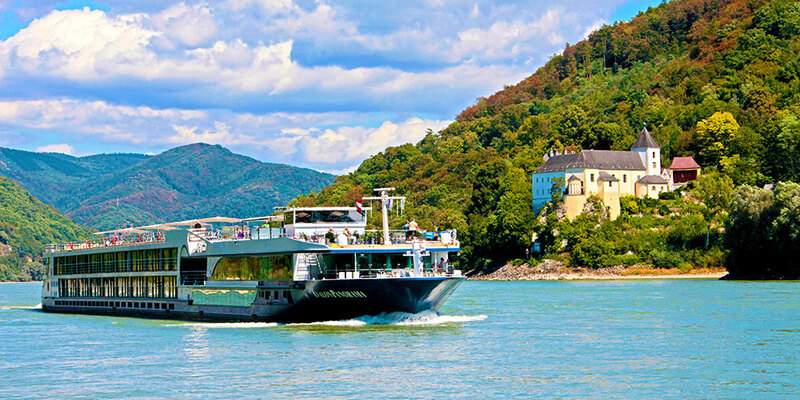 During lunchtime, sail the picturesque Wachau Valley and arrive in Melk in the early afternoon. Here, enjoy a guided visit of the magnificent 11th-century Benedictine Abbey, one of Europe’s largest monasteries. The abbey houses an ornate library with over 80,000 printed books and 2,000 manuscripts. You’ll be captivated by the splendor of the church with its frescoed ceilings, stunning high altar, marble statues, and 210-foot-high cupola. The view from the terrace over the Danube and surrounding countryside is breathtaking! This evening, sample some of the Wachau Valley’s famous wine. This morning, dock in Passau. 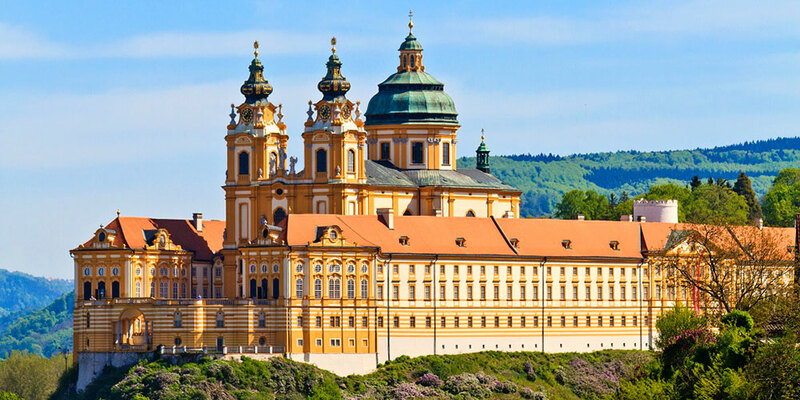 You might wish to choose from a couple of full-day optional excursions: to Salzburg, taking in some of “The Sound of Music” sights, or to medieval Český Krumlov in the Czech Republic, a UNESCO World Heritage Site. Alternatively, you may choose to stay on the ship and relax as you cruise to Passau, uniquely located where the Inn, Ilz, and Danube Rivers converge. Passau is a maze of narrow cobblestone streets lined with beautiful patrician houses and dominated by St. Stephen’s Cathedral, a masterpiece of Italian baroque architecture. Take in the highlights on the included guided walk. Rejoin your vessel in the late afternoon. Arrive in Regensburg today. 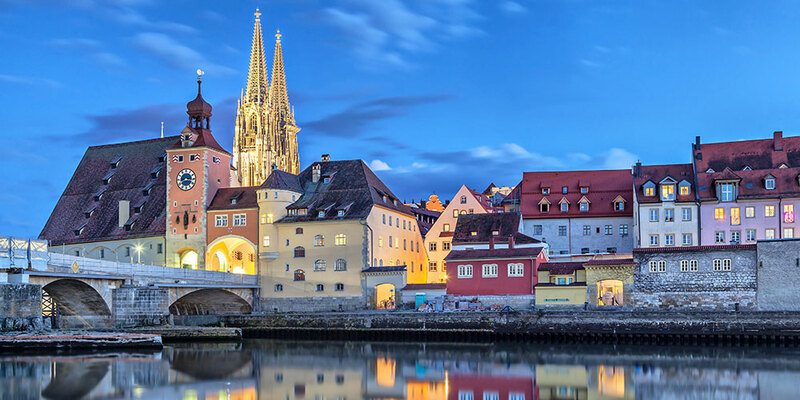 Dating back to the time of the Celts around 500 BC, Regensburg is one of Germany’s best preserved medieval cities. Established during the Holy Roman Empire and the only German city not bombed during WWII, Regensburg has at least 1,300 listed buildings of “historic interest.” Architectural highlights of your GUIDED WALK include the Altes Rathaus (Old Town Hall), built in the 13th century, and Porta Pretoria, gates to an ancient Roman fort built in 179 AD. Wander through the city’s lanes and alleys to discover the many mansions with high towers. Wealthy families built these towers to emphasize their status and wealth during the Middle Ages, and many still remain today. Walk across the 12th-century Steinerne Brücke (Stone Bridge), the oldest of its kind in Germany. Grab a beer and enjoy an included snack at the 17th-century Historische Wurstküche (Old Sausage Kitchen), one of Germany’s oldest restaurants. Here—where the locals congregate—feel the vibrant atmosphere and take in the remarkable views along the river. After dinner, we’ll introduce you to some of Germany’s famous beers. Today golf lovers will have the chance to enjoy a round at Thiergarten Golf Club. This historic course is full of character! The course is nicknamed “Thiergarten” (Animal Garden) after the surrounding forest that has been used for hunting by the regional nobility since 1813. The course, an exemplary Donald Harradine design, offers some dramatic challenges from the hilly terrain. Although 90% of Nuremberg’s Old Town suffered extensive damage during WWII, much of it has been restored to the glory it once knew as the unofficial capital of the Holy Roman Empire. 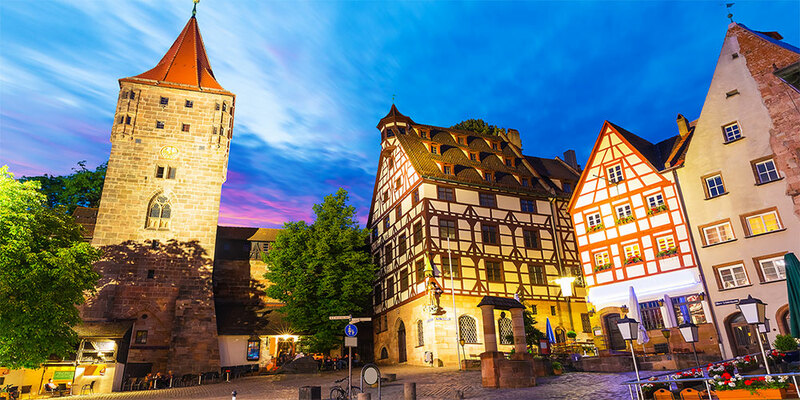 This afternoon, choose a guided sightseeing tour and marvel at this thousand-year-old city’s medieval fortifications, extraordinary gothic churches, and the Kaiserburg (Imperial Castle), or join a more specialized “Nuremberg Rally Grounds” tour. 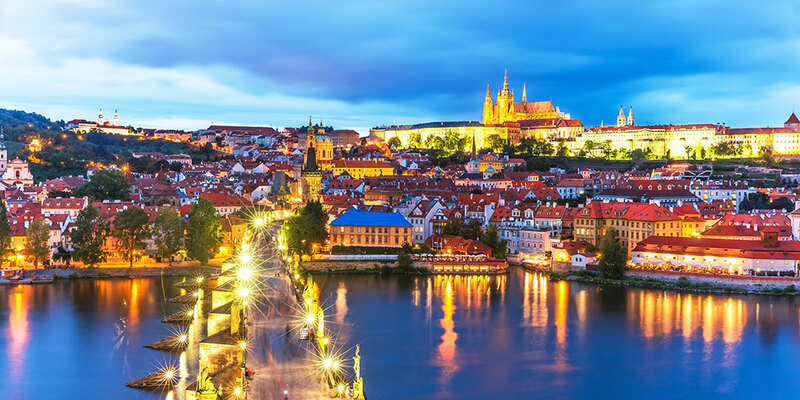 Prague is a 1,200-year-old city preserved in time, and, unlike other Central European capitals, it was not bombed during the 20th-century wars. A local guide shows you its best-known treasures, such as the Old Town’s Astronomical Clock, built in 1410 and once the envy of all of Europe; Hradčany Castle Grounds; St. Vitus Cathedral; and the Charles Bridge, the oldest bridge in Prague. Browse the shops for hand-cut crystal or art books. Mix with the locals in Wenceslas Square, an important meeting point where people demonstrated against the communist regime; or watch performers on Charles Bridge. Enjoy a free day to explore the city at your own pace. Perhaps visit the Communist Museum, sample the local plum dumplings and Pilsner; stroll along the Vltava River. Your Cruise Director will have other suggestions for things to do. Golfers will enjoy the day playing this old-style European course. Prague City Golf Club is the only one 18 hole golf course in Prague. It is kind of links type golf course. Designer is Scottish architect Jeremy Ford and co-designer German PGA pro Alex Cejka, who was born in Czech Republic. The course is either challenging for good golfers or playable for players with higher HCP. The specifics of the course are reddish sand traps called “sandy wastes” which are not hazards, “spill offs”, deep bunkers and very rolling greens. Your vacation ends with breakfast this morning! On to your next adventure in Europe.